Take a virtual tour of Calvary Church in Stonington, Connecticut. 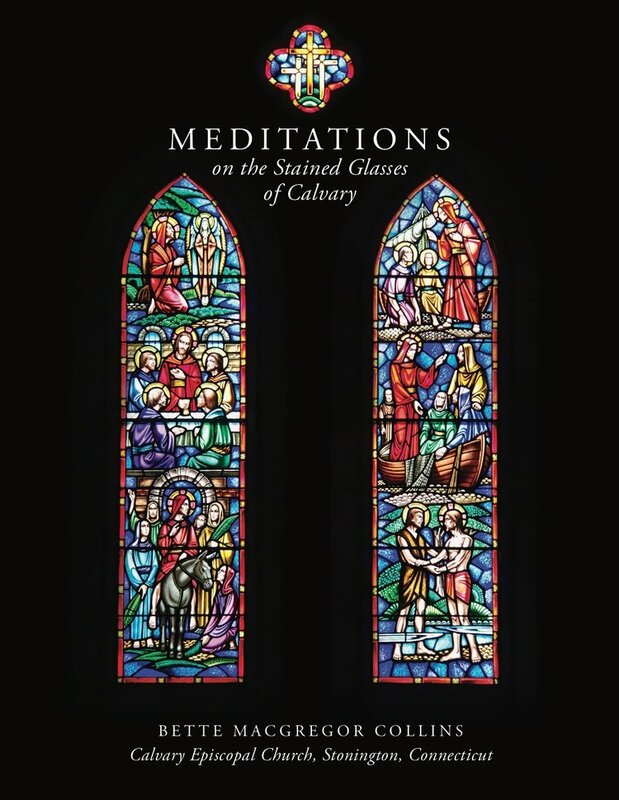 Born out of the author’s desire to document and photograph the historic beautiful stained glasses of Calvary Church for posterity in book form, this gorgeous coffee-table style book is for all to enjoy. Here is a history of our beloved stained glasses, replete with beautiful photography by Shirley Wick (also a parishioner), scriptural meditations related to the church’s stained glasses, and iconography for each window. The glasses have become treasures and the soul of our 171-year-old church. All proceeds from the book sales, and all tax benefits therefrom, are donated to Calvary Church of Stonington, for the care preservation and maintenance of the stained glasses. By phone, by calling 860-536-8986. By mail, to Bette M. Collins at 2 Scott Lane, Mystic, CT 06355. Please make checks payable to: Bette M. Collins in the amount of $45. Bette will mail your copy to you. Please include your mailing address.